Want a chance to win some sweet gear from Outland Adventure Gear? It’s easy! Just take some photos during the festival and tag it with #outlandphotocontest! Snap some photos during #SOIceFest2. The subject matter doesn’t necessarily have to include climbing, as long as you feel it represents the spirit of the festival. 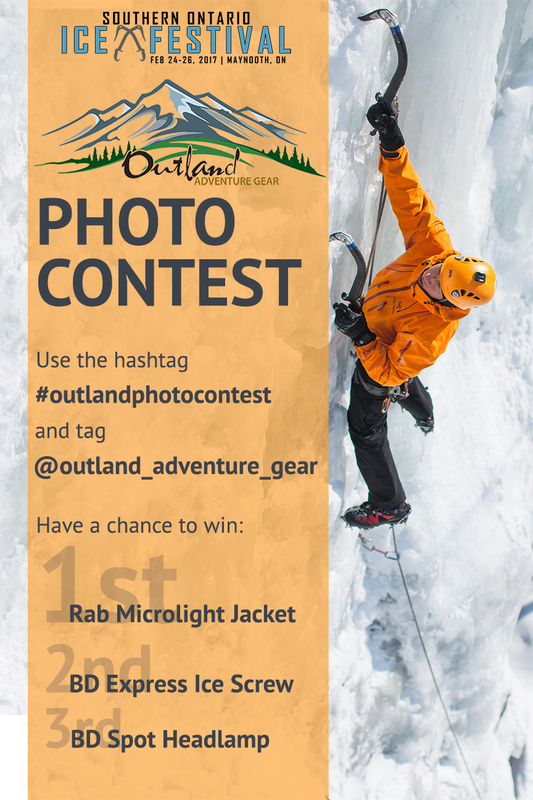 Post the photos to social media (we’ll review Facebook, Instagram, and Twitter) with the hashtag #outlandphotocontest! Just make sure the photos are public so we can view them – tagging @outland_adventure_gear and @soicefest will help us find it too! That’s it! Go out and have fun!